I just bought a 13" MacBook Pro with Retina display. When I connect it to a projector using a MiniDisplay Port to VGA cable, the quality of the image is awful in terms of definition and colour. How can I fix this? 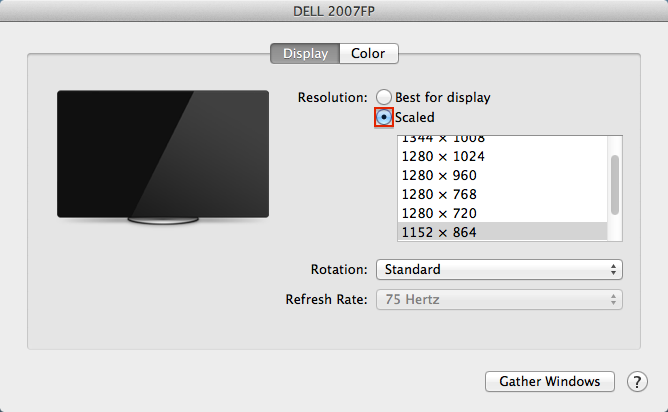 To correct the resolution, open the Display panel in System Preferences, connect your monitor if not already connected, and look for the Display preference window on the projector. Click on "Scaled" instead of "Best for display". Then hold the Option (⌥) key while clicking again on "Scaled" and you will see a list of resolutions to choose from. You can then select an appropriate resolution from the list. 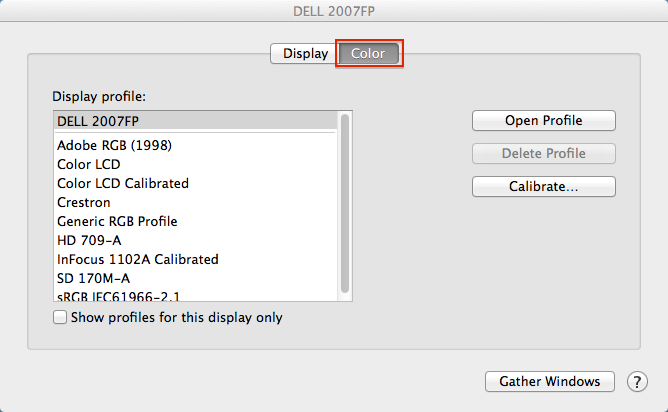 To correct the color, click in the Color tab in that same window, and either choose from one of the available color profiles, or click the "Calibrate..." button and adjust the color as needed. Not the answer you're looking for? Browse other questions tagged macbook displayport vga .